2İnönü Üniversitesi Tıp Fakültesi Göz Hastalıkları A.D., Asist. Dr. Carbonic anhydrase inhibitors (CAI) are among the most powerful intraocular pressure lowering agents used in ophthalmology. There are two form of CAI. Systemic form of CAI’s, acetozolamide, have been using since 1954. 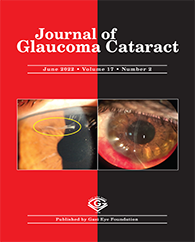 Introduction of dorzolamide, the first topical CAI, marks an important development in glaucoma theraphy. Brinzolamide, second topical CAI, have been using in ophthalmolgy since 1998. The main advantage of the topical CAIs, dorzolamid and brinzolamide, is the marked reduction in the systemic side effects associated with the oral agents. However, serious systemic side effects may be ocur in some patients.